There is something warm and exciting about hearing a great story that has been passed down generation after generation. 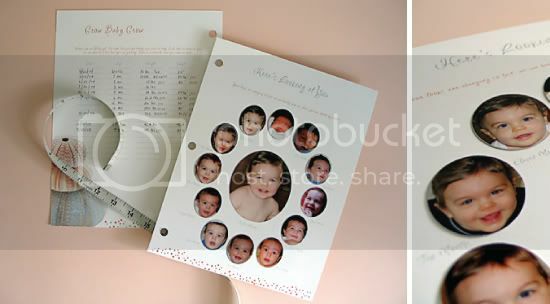 We believe that a baby album should invoke that same emotion as it unfolds to tell the story of your child. Freshouttakes is a Washington based company specializing in baby albums that are filled with leading yet intuitive questions and suggestions. When I was contacted by the owner, Kim and asked to create a logo for her company based on a baby picture of her – I was floored. The sentiment behind the story captured my heart – as I’m sure will capture yours. 1. What drew you to Le Papier Studio? Was there anything in specific that made us stand out? Well, first of all I am a lover of silhouettes in general ever since my mom took us to a very talented woman who simply had us kids sit still and in one shot, she cut out our silhouettes. I know that it takes a very, very talented person to be able to capture a face and personality accurately. I noticed that talent right away when I was surfing through the etsy silhouette shops. 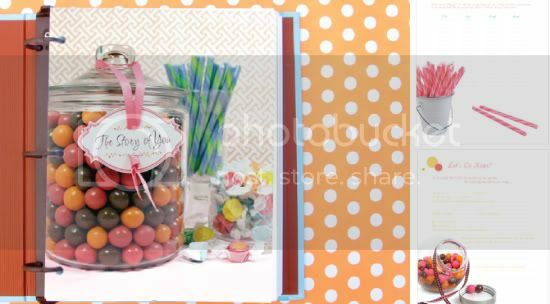 What stood out to me was the fact that le papier had the photo examples beside the finished product so that I could see with confidence that my project would be created with the same level of detail and sheer talent. 2. What part of our service/product did you find most valuable? The most valuable service for me was the communication level. I was contacted right away (which I love!) and I had the chance to have a conversation about my goal and about the art before it was created. When we were done talking I was so excited because I knew that I was going to love what was being created for me. 3. What would you say to a friend who was thinking of working with us – but wasn’t sure? I have recommended le papier studio to all of my friends and family because I had such a great experience. I have used le papier studio for other logo design projects and personal projects since my logo design was created and I have been equally as pleased. When I first started my logo project for my own company I knew I wanted it to be very special. I’m sure most people feel that way about their company logos, but because my product was born out of a desire to continue a sentimental thread that I was raised with, I wanted my logo to also have some sentimental value even if I was the only one who knew what it meant. The photo that my logo is drawn from is a photo that my mom kept for me that was taken on my second birthday. I am happily pushing my new doll carriage down the sidewalk. There’s nothing extraordinary about the photo itself, but it is special to me. I am wearing a pink gingham jumper that was made for me by my grandma who I was very close to. Sadly she passed away before I was old enough to let her know how special she was to me. Today, I have a daughter who looks nearly identical to me and who would have melted my grandma’s heart. When I put her in that special jumper (thank God my mom kept it for me), it could bring me to tears – happy tears. Le papier created a logo for my baby album company that makes me smile every time I see it. This picture is of Kim (left) and the other of her daughter (right). You should be able to see the resemblance between her and the silhouette logo. Kim’s daughter is wearing that same dress Kim wore at the picture we used to create the silhouette. Isn’t this the sweetest thing? All images courtesy of Freshouttakes. The post Client Testimonial | freshouttakes appeared first on Le Papier Blog.